It has been a while, I feel like I say this every time but I'm sorry that I have once again been neglecting my blog. I don't know how or why because the matter of fact I love every thing about blogging. I have a lot to catch you up on, this past month has been a whirlwind but I feel like that calls for a post of it's very own. 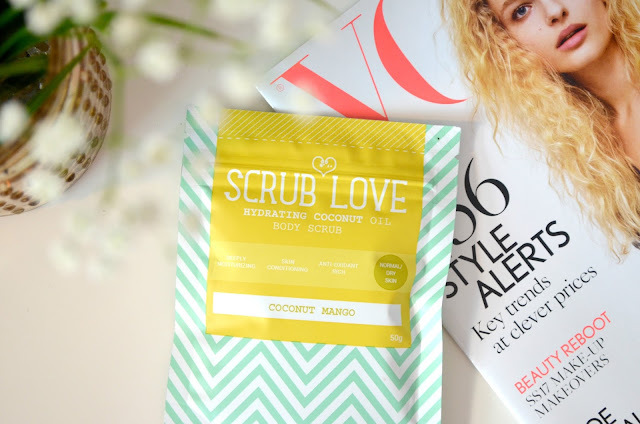 Now if you haven't already guessed by the blog title I finally got around to subscribing to Birchbox. I know, how exciting. Please be excited for me. The hype around subscription boxes is beyond exhausting, I see them everywhere online, you can get them for anything from as little as £6 a month. I put it off for so long but I finally caved in. Now I did my research, I knew I wanted to try a beauty box and I wanted to spend as least money as possible. I literally typed into google search ''best beauty subscription boxes'' and Birchbox came up tops. The box works out as £10 a month plus a couple of extra pounds for shipping. You can either pay for several months in advance or you can pay monthly and cancel the subscription at any time, which is the option I have gone for. I know when researching I found blogger reviews and first impressions helpful to make my mind up about which box to go for so that is what I'm going to do here. Every month you get 5 products in the box. You can tailor your online beauty profile to suit you, so the products you get match your skin, hair colour or even target an issue you struggle with such as acne. I really liked this feature. As this was my first box I also received a free gift, they claimed it was a full sized Ciate bronzer, now correct me if I am wrong but the Ciate product I received is tiny which I'm not going to lie is a little disappointing. Never the less the other products I got this month I am semi- pleased with. 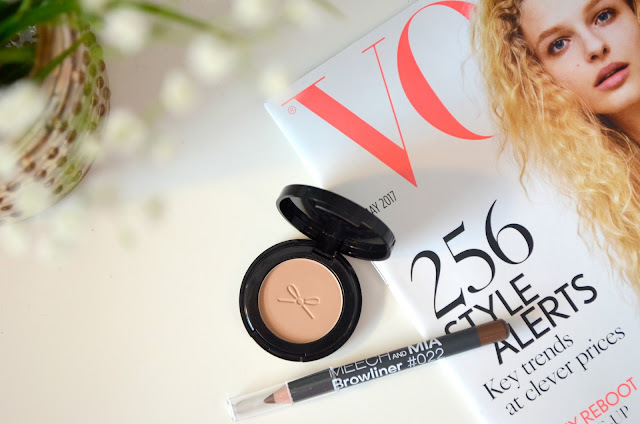 Now I'll tell you why, I'm not being ungrateful, all of the products are lovely, also products such as the brow pencil are a perfect match for me, courtesy of the online beauty profile. BUT when I compared my products from the selection of products they were advertising in this months box I feel like I was left short. Full sized beauty blenders, Eco-Tools brushes, Bobbi Brown products are just a few of more appealing things that were on the list. I did also say in my beauty profile I would rather receive beauty tools such as brushes, but I didn't get any. On facebook I saw many other dissapointed ladies as some people got better boxes then others, so I knew I wasn't the only one. As this is my first box I'm going to let it slide and see if next month is any better. This month the products also came inside a lovely makeup bag, I had the choice between colours so I went for a lovely yellow and lilac colour. The quality of the makeup bag is lovely, perfect for travelling too, I am very impressed. I also really like the variety of products I got, makeup, hair and skincare. They are all mini's apart from a full sized brow pencil. I really like the fact it's given me the opportunity to try out new products that I would never normally try, and if I like them enough I can purchase the full sized product from the BirchBox website with a discount. In past boxes on my account I can easily access the products I received and review my boxes. I will try and give you an update next month about how I got on with the products I got this month. I overall really like the whole experience and the products I got, complaints set aside for a tenner you can't go wrong. 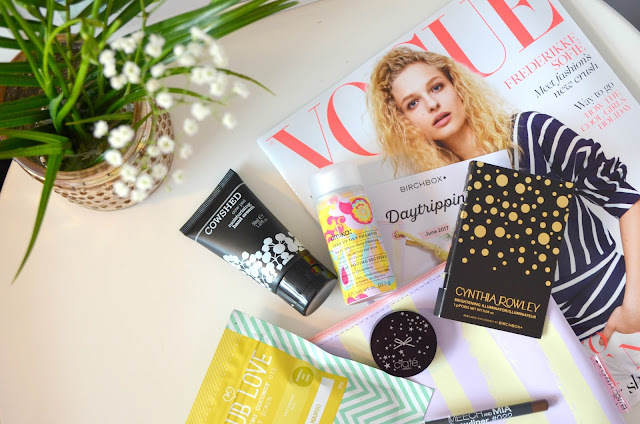 I hope you enjoyed this post and I hope it helped any of you thinking about subscribing to Birchbox. I would say do it from a first impressions point of view and if you are unhappy with the products it's so easy to unsubscribe. Please leave comment's I'd love to know what you thought. P.S just a little add on note, I wrote this post at the beginning of June, It is now July, Ooops! I'm awful I know. Long time no blog. I was sent over some yummy looking chocolate & sweeties from The Treat Kitchen after being contacted by their marketing team in anticipation of their new store opening here in Sheffield at Meadowhall. 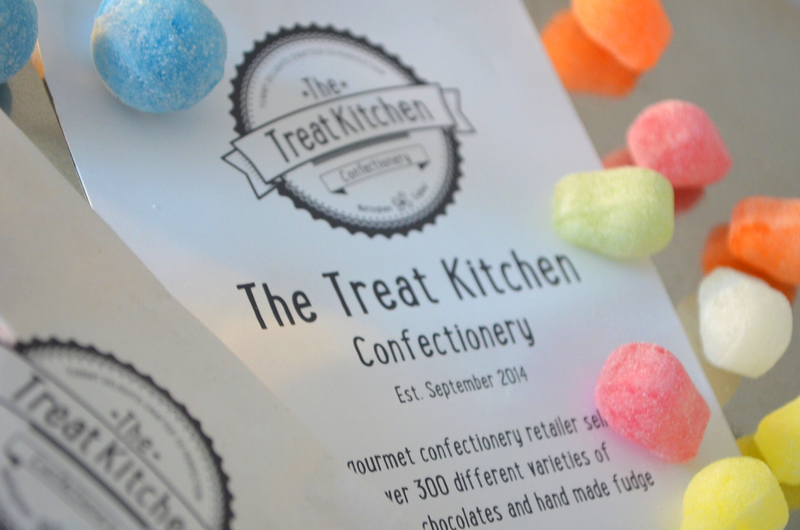 They asked me to wet my taste buds, enlighten you all on their amazing confectionery and invite you along to their launch event. Of course I agreed as I knew it would satisfy my overly sweet tooth and hey!? free sweets (actual blogger goals). First of all I apologise in advance about the rushed, briefness of this post but I am too excited right now not to get this out. 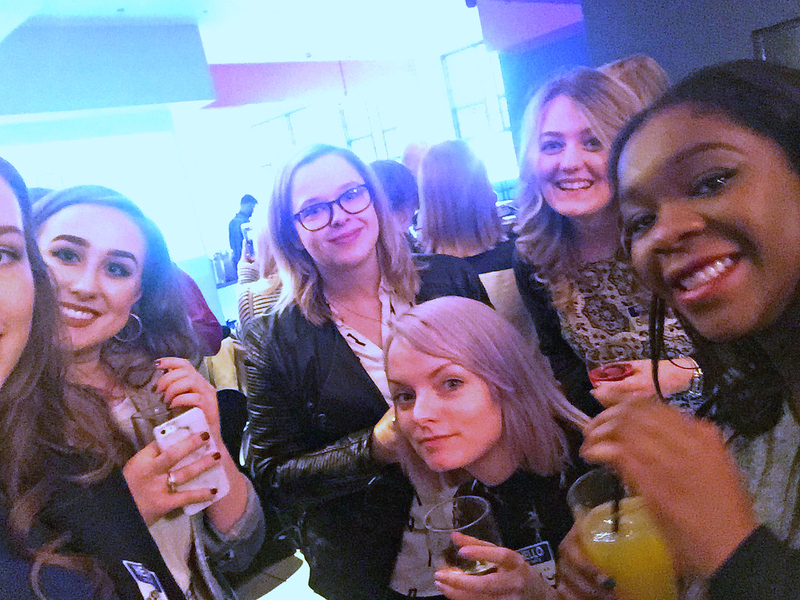 Earlier last week I attended my first ever blogger event and it's safe to say it was amazing! I mean I mingled with blogger babes, drunk wine, won a cactus and acquired some very fancy tea. I found out about the event last minute through facebook, amazingly enough it was in Sheffield. Being relatively new to blogging I have never had the pleasure to attend such an event and having one so close to home thankfully only gave me slight anxiety. 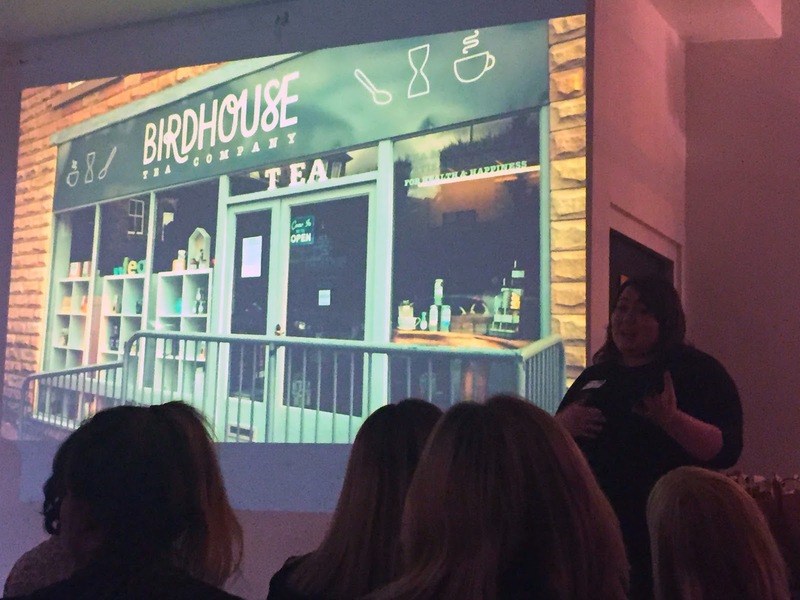 The event was really chilled, we all sat down (wine in hand) and had a little chat before the first talk which was by the lovely Sarah from S L Social being new to blogging her words have been the biggest help so far. To coincide with her presentation she provided us all with a little planning printable in the goody bags which help bloggers to map out their target audience, create content plans and guidance on how to review what works and what doesn't. We also had a talk from Birdhouse Tea, its safe to say my tea knowledge went from 0 to 10 in the space of 15 minutes, the brand is super quirky in the way they offer a collection of tea which plays homage to the little unique things that make Sheffield, Sheffield. 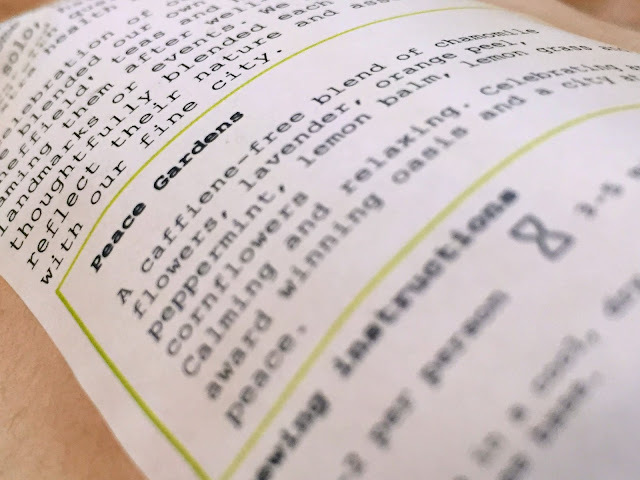 The tea I got in the goodie bag was called 'Peace Gardens' after the iconic peace gardens we have here in Sheffield. 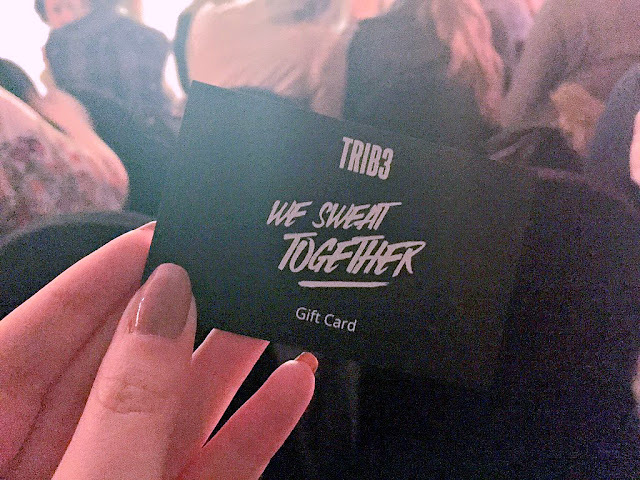 We all also got a gift card from Trib3 which is a gym with a super modern take on getting fit and I can't wait to use it. At the end of the night we all got a cheeky goodie bag with some really cool stuff not only that but I won one of the giveaway prizes for the best tweets. If you know me you know I love cactuses, what did I win? a cactus. All in all I am really proud I overcame my anxiety as I met some lovely people and had an amazing time. Even if I'm not a great blogger I still highly enjoy every aspect, which hopefully going to more blogger events. I hope you enjoyed reading this post. 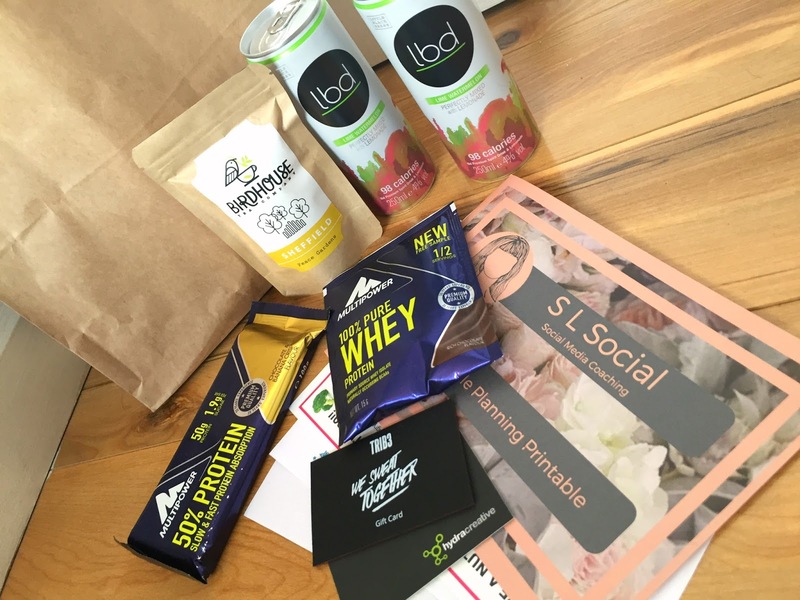 Let me know if you would like me to review any of the goodie bag items. 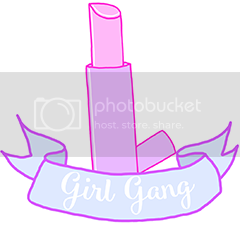 I'm also trying to discover more Sheffield based bloggers if you know of any or are one leave a comment! Happy blogging! I was asked by the wonderful Antoinette from www.awentworthsmith.com to create a post about my skincare routine. This was a while back so this post is long over due, looooong over due! Apologies! As I am at uni I don't get no where near enough time to spend faffing about with my skin as I would like to have. So everything I do to my skin is intended to be super quick (but efficient at the same time). I have a little lush review for you today. I have been trying out face masks for years now as I have always battled with the condition of my skin. I have very oily skin with dry patches, hyper- pigmentation and acne scaring. Not to mention the constant breakouts. © Some What Victoria. Theme by MisteryDesigns.